An exciting project to completely transform the interior of a Norfolk brick and flint cottage is now coming to fruition. I have been working with Vicky White and Chris Ling on Eden Hall Cottage at Bacton for almost a year and now they are about to realise their dream. Following plans to remodel the interior – creating more open-plan living space, as well as comfortable bedrooms and bathrooms – and approximately five months of building work, the project is almost complete. The charming property is thought to be 250 to 300 years old and to have been one of the old boarding houses of the now demolished Edwardian Eden Hall School. This was where children were sent to rest and recuperate from illnesses that were affecting their attendance. My clients, who were keen to find a holiday property with history in Norfolk, fell in love with it as soon as they saw it. “We have had many holidays in Norfolk over the years and particularly love this area, which is just a couple of hours’ drive from where we live in Bedfordshire. Vicky and Chris had lots of ideas for Eden Hall Cottage: their dream was to create a beautiful holiday home where they could stay themselves and offer to guests. Vicky says: “Ali came out to the property and we were able to talk through the various possibilities for the space. 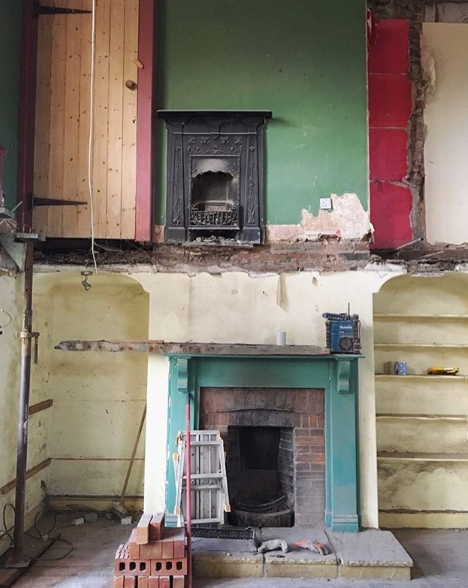 The first floor of the cottage had to be removed as much of it was rotten but this gave the couple the freedom to redesign the interior further. “The structural changes were a challenging prospect – I don’t think we really fully understood the extent of the work required when we first saw the cottage,” Vicky admits. “But when that first floor came out and we were left with a space that was like a large barn it was very exciting. The process has largely gone smoothly and the couple are now looking forward to making finishing touches and dressing the cottage with their own products. They hope to be in ready to enjoy the warm weather of late spring and early summer. “Bringing the cottage back to life and modernising it has been extremely rewarding,” Vicky adds.